You’re the industry expert in your given field. The content that you write is high quality and authoritative when you compare it to your competitors. The issue is that Google won’t show your blogs high in their results, so you don’t receive traffic. I’m here to demonstrate how to increase blog traffic with straightforward steps that anyone can follow. Search engine bots need to crawl pages to show them in their results. Search engines have a small amount of time to crawl as many pages as they can when they visit your site. When publishing a blog post, you run the risk of it taking days for search engines to crawl it. To combat this slow crawl, you need to know three simple SEO tactics. First, you need to have a clear architecture of your site for Google and Bing to follow. A clear architecture means a human and spider bot can follow the path from top to bottom on your site. Having a clear trail for search engines means that they can follow a path to any page on your site without issues. Here is an example of what you do not want your site to look like with orphan pages. To illustrate an optimized architecture, I drew a pyramid below that shows a proper flow of a website and all of its content. 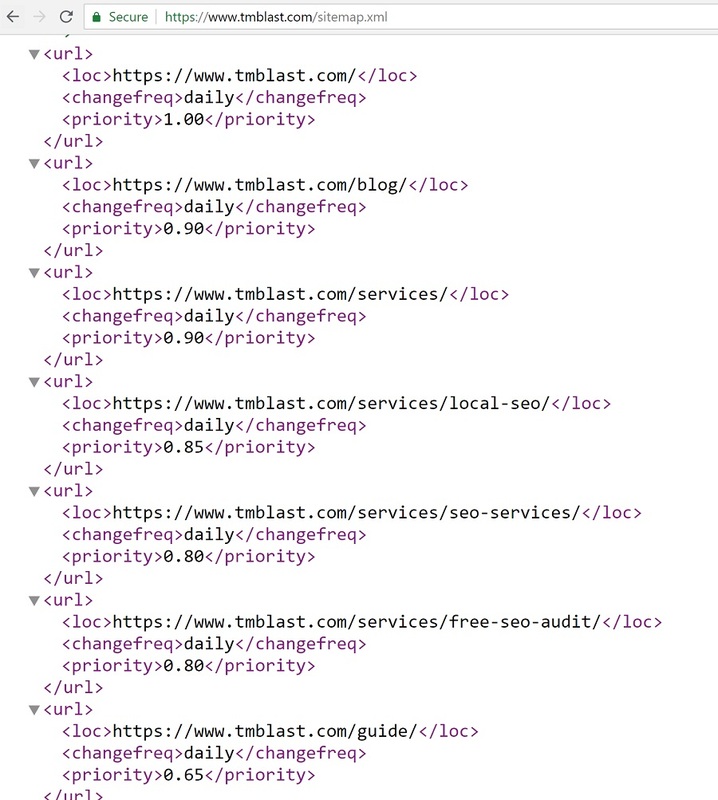 Second, you need to give Google and Bing a clean sitemap to visit. Think of your sitemap as the tour guide for a prospective student attending a college campus. The prospective student might wander off and look at the university on their own, but a clear guide showcasing the highlights will result in a superior experience. As a note, Bing will not tolerate a dirty sitemap, so make sure it is clean! Third, you should manually fetch Google and Bing to crawl your target pages on your site. Even with a great site layout, you want to get your blog post in front of search engines quickly. Alerting both search engines respectively in Google Search Console and Bing Webmaster Tools is how you accomplish this. Within Google, you want to fetch as Google bot as desktop and mobile. For Bing, you need to submit the URL for their bot to look at the post. Understanding how Google and Bing work is essential if you want to drive more blog traffic to your site. With the knowledge of basic technical SEO above, you are now ready for proper keyword research. Keyword research needs to take into account target terms, semantic variations, and signals for bots to understand the importance of a page. To illustrate this point, I will showcase a keyword topic around weight loss. Let’s say that you have a blog about fruit dieting and weight loss. 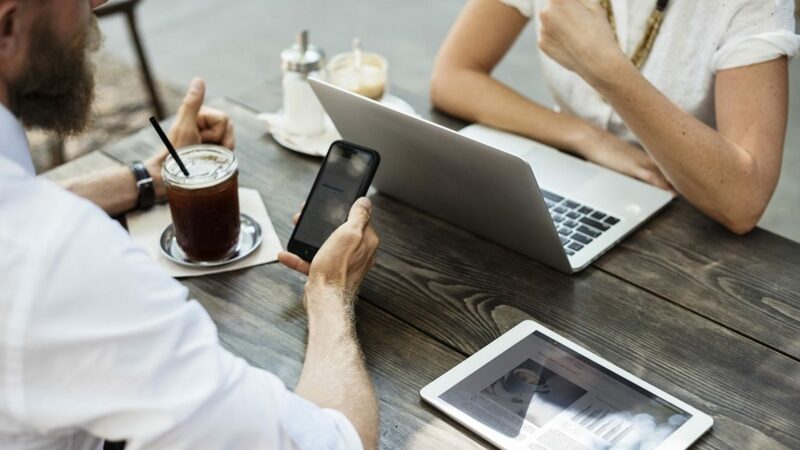 Traditional keyword research may have you target this one term, but there are a plethora of related words that can enrich the experience of your audience. By taking a target keyword and putting that into Google, I’m able to see countless variations to consider to my post. As a note, I am using Keywords Everywhere to see these additional search terms with their search volume directly into Google. Taking this example above, I have a few options to consider for my site. Some options to consider is if my post could include question and answers directly in the post. Asking the question of “which fruit burns the most fat” with an answer and an explanation is ideal for search engines. Your original blog post about fruits to lose weight now has a semantic relation infused directly into its content. 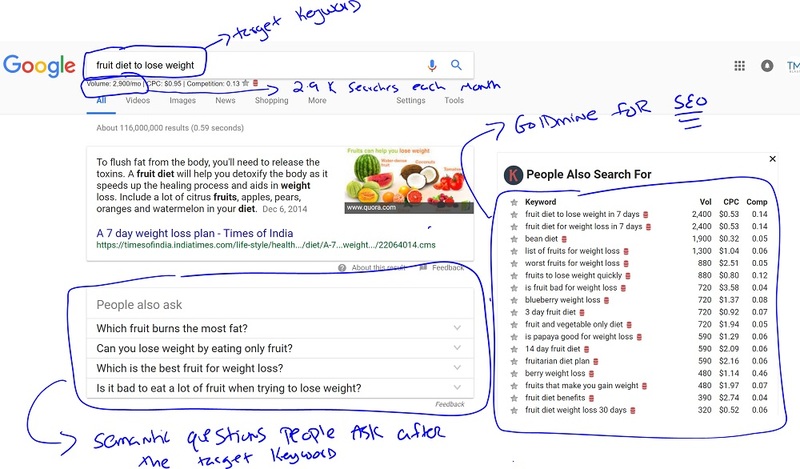 Voice search answers in Google and Bing rely on these questions and answers to showcase results to users, so help answer questions directly! Inversely, you should look at additional queries or question and cover them in a new post. Maybe you have a blog post about fruit and diet, but you should include in a different post why overeating fruit will be difficult for weight loss. By having a different intent between two posts, you are able to optimize for a seperate user’s experience. You can also internally link both pieces of content together so your audience can view both sides of the questions and intent. Google and Bing give content publishers the chance to be part of their news syndication. Both search engines will ask you to fill out a form for inclusion, so you need to ask to opt into this section. The upside is that your content can be seen on Google and Bing news shortly after you publish a post. Here is the link to Google News and Bing Newspub to get your website included in their syndication. When I was at a startup working on the SEO, I spent time with the public relations person. Understanding how search engines worked was part of my repertoire, but outreach and influence were new to me. What better way to get a blog article out to the web by having someone amplify it. 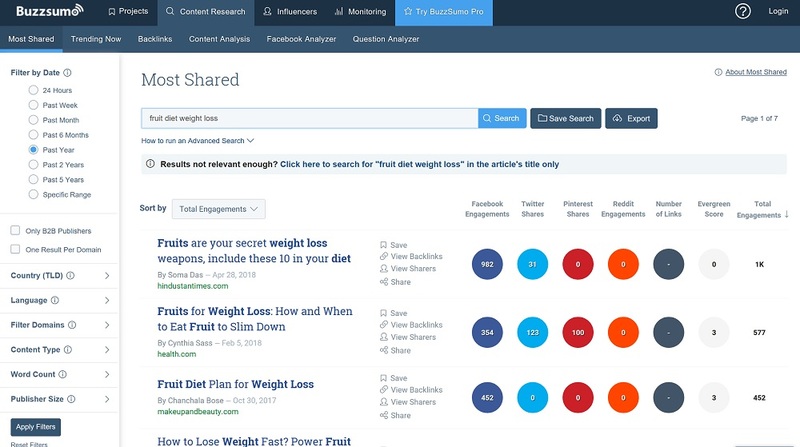 Let’s take that fruit diet example and use a tool like Buzzsumo for help. In this picture above, I search for my target keyword and see what content got the most engagement regarding shares. Social signals may not directly impact SEO, but content that resonates with people should be the goal of blogs. Seeing articles written by different authors on this topic tells me that these people are worth my attention to reach out to, so I need to formulate a strategy. Taking the Buzzsumo example above, I want to share how to reach out to influencers. You need to understand that these authors are getting pitches from people all the time because of Buzzsumo, so you need a winning strategy to get their attention. With that thought in mind, you need to build a relationship and worry about the pitch later. Here are my steps that outline how I went about this a few years ago. First, you want to comment on their blog post with an original message. Don’t merely say something like great post, but instead call out something specific on their post that resonated with you. Most importantly, do not drop your link in the post! Second, you want to follow the top influencer on social media if that is something you and they use. Take notice if this person is active on some social media platform. You might have a hard time finding their email address, so reaching out via social media may make sense. Third, you want to craft a personal pitch to this influencer. What worked for me was using a combination of email and social media to get in contact with someone. Let me share what I did to get in front of one top influencer on the web that helped amplify our blog. To get the attention of this influencer, I spent time going through her website and Twitter account to do research. It turns out she loved cats and replied a lot on twitter, so I combined a few things. The PR person and I created a meme of a cat stretching out its hand with a personal message in it. The meme asked the influencer if she would not leave us hanging and check out our post. The creativity of this approach got her attention and had her share our blog with her Twitter audience. She has a massive audience of followers, so this type of share got us traffic and new shares. 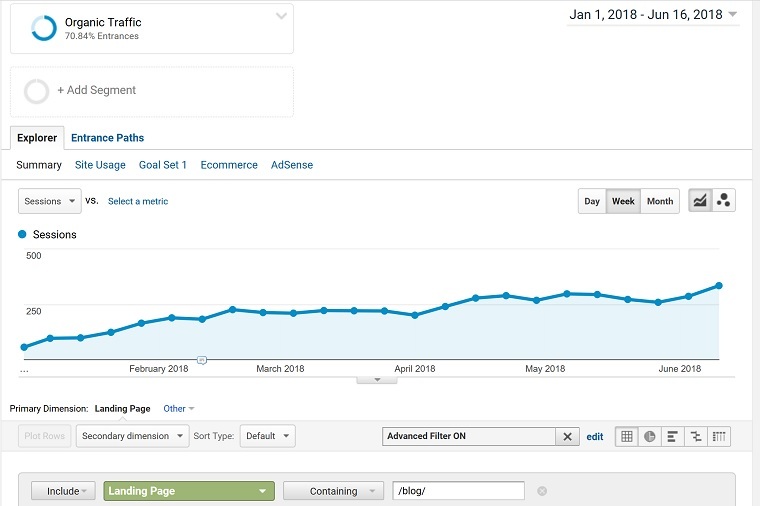 Wanting to drive more traffic to your blog is achievable, but it takes work to get results. To recap, I went over a brief overview of how search engine bots work. Why proper architecture is critical to having success with SEO and your blogs. How to perform adequate keyword research for your blog and find semantic opportunities to drive additional traffic. I briefly talked about Buzzsumo and how to pitch influencers to amplify your blog content, but stressed that creativity needs to be in place. If you have any questions about this topic, I am a Boston SEO who can help!